On Monday, Ford announced plans to bring its autonomous vehicle technology to Washington, D.C. The company will build a hub in the northeast quadrant of the city, Ward 5, and test its self-driving tech throughout the district. According to CNN, the automaker will begin implementing the project this year and start testing its fleet of vehicles in early 2019. Officials expect this collaboration to generate much needed jobs for city residents. The District of Columbia is a bold choice for this pilot program simply because of its road designs and traffic patterns. The district has at least a dozen major traffic circles with adjoining diagonal roads sending you off in every direction imaginable all thanks to the designs of Pierre L’Enfant. Then there’s the heavy traffic throughout the district and its suburbs of Maryland and Virginia. According to a 2017 study by INRIX, Washington, D.C. holds the No. 18 position of most congested traffic areas in the world. It is sixth in succession after Los Angeles, New York, San Francisco, Atlanta, and Miami, respectively. The city not only wants to be in the forefront of technology, it’s looking to this pilot program as a creative way to provide jobs while creating alternative transportation opportunities. “A few years ago I was thinking we were getting behind the curve on this autonomous vehicle technology,” D.C. Mayor Muriel Bowser told WTOP. 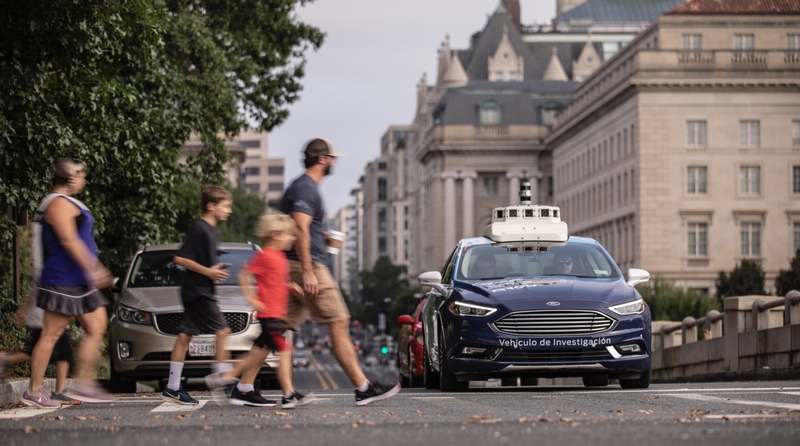 Ford’s artificial intelligence partner, Argo AI, will train city residents at the D.C. Infrastructure Academy, preparing them for jobs on the autonomous tech track. "We're not assuming autonomous vehicles are going to take over or anything," Sherif Marakby, Ford's president of autonomous vehicles said. "We need to understand, where do [autonomous vehicles] fit? Hopefully they'll fit someplace. We believe they will." Mayor Bowser told WTOP that there are challenges with safety and implementation. “It is possible that we’ll find that it’s not a fit for our city, and that’s what this test phase is all about,” she said. 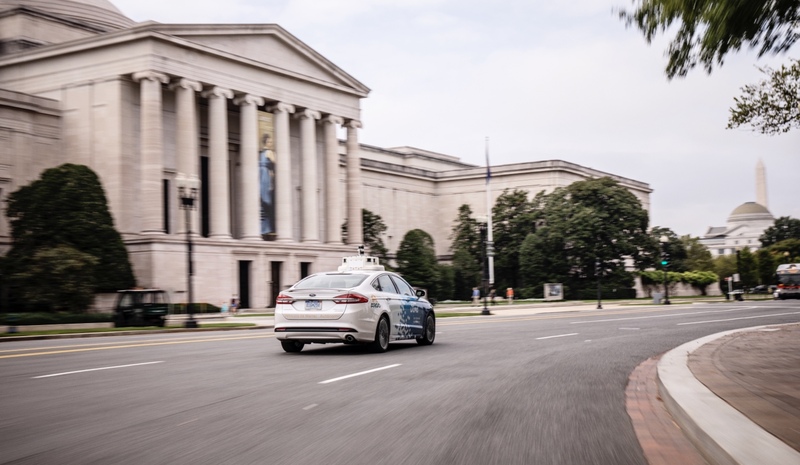 The automaker would like Washington, D.C. to be a major part of its self-driving tech ride service launch in 2021 as well. One of the major draws for the city to collaborate with Ford on this particular project is its commitment to service the whole city and not concentrate solely on the wealthier areas. 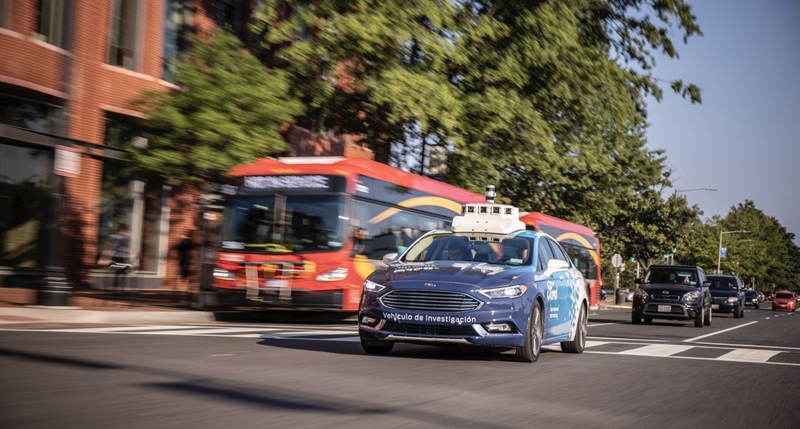 Currently, Ford uses test drivers in its semi-autonomous vehicles because fully autonomous vehicles are still a thing of the future in terms of implementation. Level 5 autonomy is what many companies strive for but is not yet available.